York's beautiful Minster, is one of the largest Gothic buildings in northern Europe and is one of seven cathedrals in the world, which still maintains its own constabulary or police force. The other six being, Liverpool's Anglican Cathedral; Canterbury Cathedral; Hereford Cathedral; Chester Cathedral; St. Peter's Basilica in Rome, Washington's National Cathedral (USA) and the Swiss Guard, which is a small force maintained by the Holy See and responsible for the safety of the Pope and the security of the Apostolic Palace. Although not as well known internationally as the Swiss Guard, the Minster Police have served York Minster with loyal and distinguished service for many hundreds of years. Between 1285 and 1839 York Minster had its own Liberty. The Liberty, known as the ‘Liberty of Saint Peter and Peter Prison,’ was the walled area which enclosed the Minster - forming an almost mini-city state. Within the Liberty, the Dean and Chapter of York Minster held complete jurisdiction, and were able to appoint official constables. 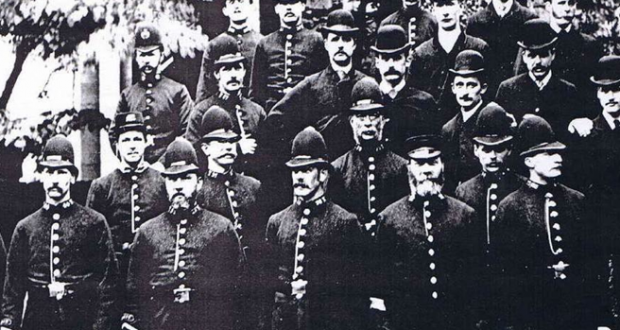 These officers, similar to parish constables, maintained law and order. Over time, the Liberty, which covered an area equating to a third of the medieval City of York, developed its own coroners, justices of the peace, bailiffs and even a small prison. The Liberty constable may well have also administered some of punishments handed out by the court. Officers certainly equipped themselves with an array of weapons, some possibly used to mete out summary justice. The Minster Police have in their possession a flail, said to have belonged to a Mr J Strutt, the Liberty Constable in 1713. Sir Robert Peel, the father of modern day policing, is said to have visited two bodies of men prior to the formation of the Metropolitan Police Service (1829); the Thames River Police and Liberty of St Peter and Peter Prison constables, with the latter, becoming the Minster Police. It could, therefore be reasonably argued that the Minster Police pre-dates the Metropolitan Police Service, making it the oldest continuing police service in the country, and possibly the world. Following the fire of 1829, the Dean and Chapter employed a constable to guard York Minster itself. The control of the Liberty passed to the Corporation of York in 1839. The Minster force maintained close links with York City Police, the body who now oversaw the policing of the Liberty. 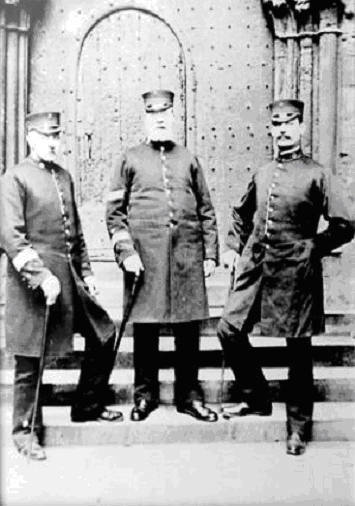 This force served the city for over 130 years between 1836 and 1968, when it amalgamated with the East Riding of Yorkshire Constabulary and North Riding of Yorkshire Constabulary, to form the York and North East Yorkshire Police. The Dean and Chapter continued to employ its own constables to protect the Minster and officers continued to be sworn in as constables up until sometime between the world wars, when they ceased to be attested. The exact time of this change is unclear. 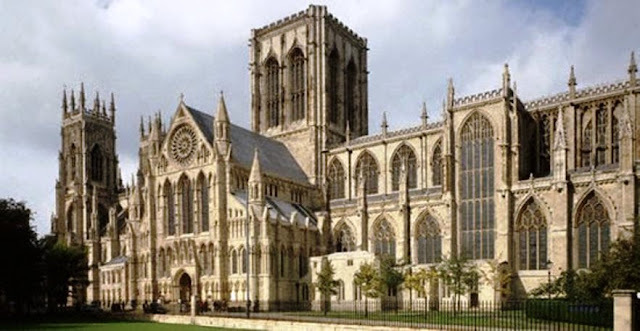 One explanation offered by a former officer, is that the Dean and Chapter had concerns that Minster officers could be drafted by York City Police in times of crisis, leaving the Minster without sufficient protection. Its lucky this approach was adopted as on the night of 9 July 1984, lightning struck the roof of the south transept, starting a fire, causing millions of pounds of damage. However, the quick action of a Minster Police officer in raising the alarm, helped limit the damage considerably. 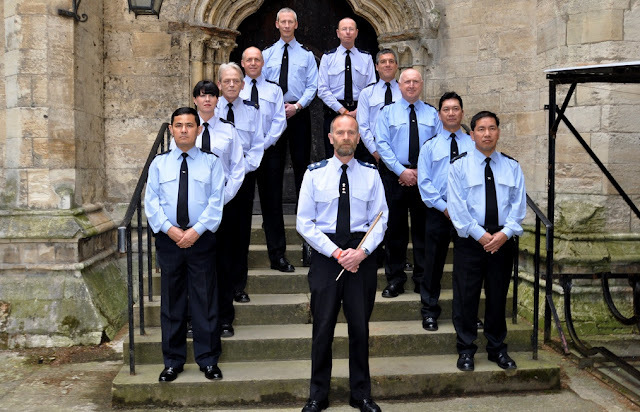 Today, 10 Minster Police Officers (making them the smallest constabulary in the country) still patrol the great Cathedral, providing security and support in the running of the Minster, its associated properties and looking after the Ministers 380 sets of keys .